Special Order item - Please allow 2-4 weeks for delivery! 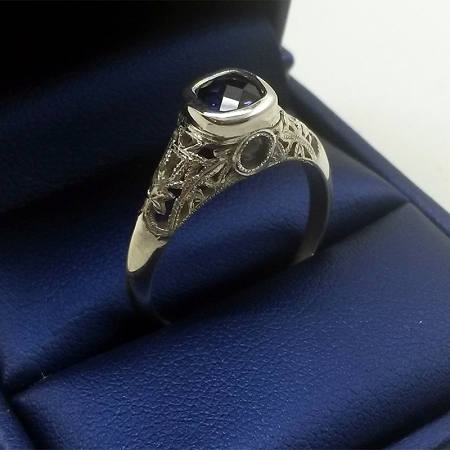 Stunning and elegant filigree ladies ring is a popular gift and something she will love forever. Great as an engagement or anniversary ring. Personalize your ring with your own photo or select a from our stock image options. Add a title to the photo if you like. The center of the pendant holds the stanhope peep within a beautiful round ornamented bezel. Hold it close to the eye and peep inside the stanhope to reveal the amazingly clear image. Choose from solid .925 sterling silver, 14k white or yellow gold for the setting. Then select a beautiful cushion-cut 1A selected quality Cubic Zircon in you favorite color. All of the birthstones are available. Simulated, lab grown and natural gemstones prices are are available on request. Available in 1/2 sizes from 4 to 10 1/2. 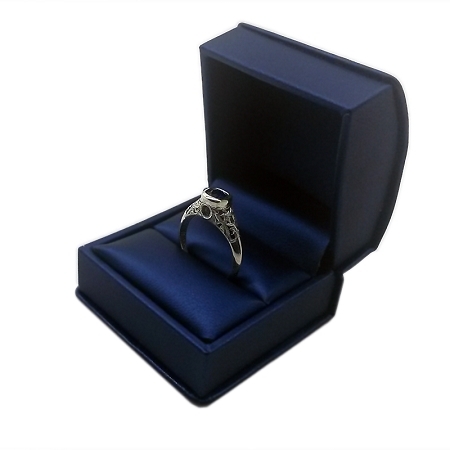 Your new stanhope keepsake ring arrives in a lovely gift box. Please allow 2-4 weeks for delivery. 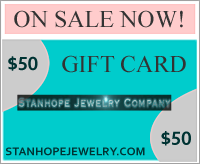 Our stanhope ring is a wonderful and appreciated gift for Valentine's Day, Mother's Day or any special gift giving time.